So a dog, a seal, a small bear (? ), and a deer. 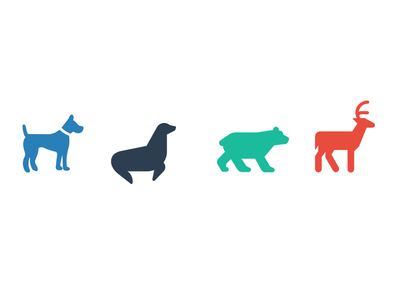 Animals is a free design resource made by Dribbble user Daisy Binks. As far as I can tell, its license is Unknown.